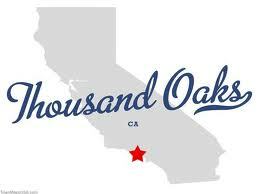 Thousand Oaks Movers has a team of professional movers that specialize in relocation pianos. 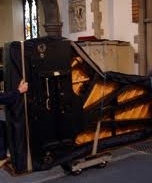 These instruments require special care, we wouldn't trust a relocation of an expansive and complicated item to amateurs. 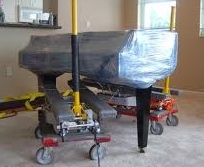 Our movers that specialize in moving pianos have worked with any kind of piano there is and over the years have been in many difficult circumstances. They have relocated pianos that had to go up to the second floor of a building with narrow stairs and no elevator. They have successfully hoisted up a 500 lbs instrument through the balcony. 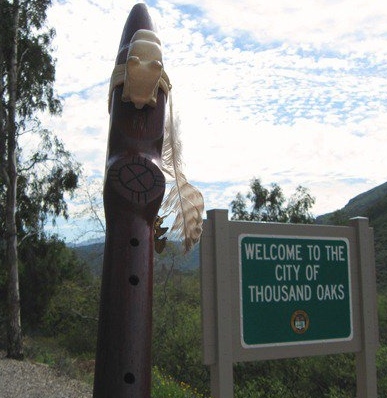 This is why a lot of our piano moving business comes from local music shops that recommend expertise of our movers to customers that have just acquired a new instrument. As a committed member of the Californian AMSA we can be proud of our movers wh are some of the best on the industry of piano moving services. Starting with this moment all your worries can remain behind, with our piano movers you will forget that your instrument is being moved. Moreover, it is nearly the fact proved by long experience, that after our piano moving services you piano will not even require any adjustments!